I have switched to SimpleMobile, and wanted to share some thoughts, why I would have never done it, if I knew what I know now. I hope that this post will display to the community, what a bunch of stupid a-holes this SimpleMobile folks are, and hopefully prevent a few customers from making uninformed decision, that they would later on regret. First, how I got sold on it. 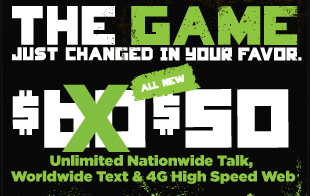 I used to be on PagePlus Talk n Text 1200 plan, which I consider is a great value for $30/month. The only problem I had with it was too little data. 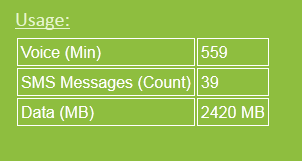 I often use my phone for all kinds of stuff, and I found it hard to stay within allocated 100 MB. One time I was attending an event, and there was no wifi. The fact that I had to save data was unsettling, and I decided it is time to shop for something else. SimpleMobile with its $40 unlimited everything plan came in beautifully. Not only I could be doing all I was doing previously, but also listen to Pandora and even YouTube. A month later I figured I should probably go even up a tier and for $10 more get a 4G plan. Notice the graph in the lower left corner, it is flat. That's a pretty strong indication that bandwidth is throttled. In the natural situation you will never get such consistent bandwidth. Needless to say, I was unhappy. 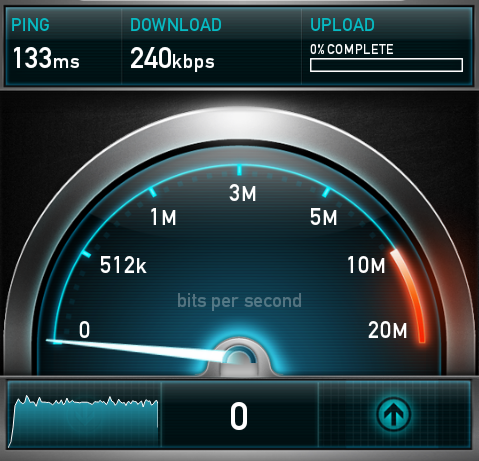 I called customer service and complained that my speed is throttled. A guy replied that no, it isn't, I am getting all I'm paying for, and 4G speeds are only available if I use blackberry anyway. He said, if you use phone as a wifi hotspot and "use Internet properly", they will not throttle. When I asked him to define what "properly" means, he couldn't tell, but indicated there is no warnings and such on my account, so I should be good. My phone number is ***-***-****. I have switched to 4G plan 2 months ago, and was able to experience 4G speeds on my phone, which is: samsung galaxy S 4g. lately, I started getting EXACTLY 230-240 kbps, on every measurement. 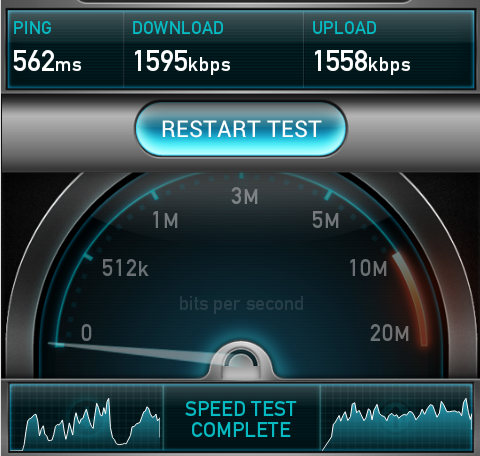 This is exactly the speed, that I was getting on 3G plan, before I switched to 4G. Please, see the screenshot attached. Please see the graph for network speed. The top of it is completely flat. That tells me that the speed limit is not caused by a natural radio interference, which is always variable, but that it is rather limited artificially by you. Also, I do recognize the flat top pattern, which is consistent with the one I saw when I was on 3G plan. I have contacted technical support. The support person made no sense to me. He stated that 4G speeds could only be achieved on blackberry. This is plain false. I could demonstrate you that I have been getting 4G speeds previously, and then they were turned off. Tech support person assured me that you have no policy of limiting speed to 3G after certain data transfer threshold was reached, which was a basis for my decision to switch to 4G plan. If you indeed have that policy behind the scenes, then it is fraudulent for you to advertise otherwise. Thank you for your interest Simple Mobile. We are responding to your recent inquiry. We were able to speak with you on October 28, 2012 (9:25 PM EST) at ***-***-****. You were informed that the reason that your data speed runs only with 3G is because your phone is not a supported handset for 4G speeds. We understand that you were able to use the 4G speed these past few months. You were informed that this case is similar with our iPhone users. During activation, the network does not know the phone model the SIM card is inserted into. The network sends data throughput through multiple frequencies in order to determine the frequency the handset is running into. Once the network realizes that the handset does not work with 1700 MHz bands, it sends the appropriate data speed which is 2G. No admission on what the limits are. So, not only there is a cap, but they will not even tell you, how much is too much. So, you could be capped at any time, as they please. Very convenient for SimpleMobile, not so much for their customers. And it's not all. Two calls with tech support. Both times I was given the most outrageous lies, that don't even make sense. I was treated like an idiot, that's what is most insulting in the whole story. If a claim proceeds in court rather than through arbitration, WE EACH WAIVE ANY RIGHT TO A JURY TRIAL. That pretty much precludes any customer of their to sue them for damages, as well as doing what is absolutely appropriate in this situation: class action lawsuit. Again, I repeat myself: as a damaged party, I do not expect to get a material satisfaction from this, courts can not provide this. I would be, however, satisfied if SimpleMobile comes clean on their caps, stops making claims that the service they provide is "unlimited talk, text and 4g high speed web", and prohibits their support personnel from making outrageous false statements. The latter irritates the heck out of me. There may also be a cap on the minutes and text, we do not know how high, but the problem here that it will be a surprise disconnect, they don't tell you how much is too much. If you got the phone plan for your teenager kid, hoping that he would be able to always call you, no matter how many minutes does (s)he spend, (s)he might not. * T-Mobile Unlimited Web & Text with 100 Minutes Talk. First 5GB at up to 4G speeds. * PagePlus Cellular The 55 plan. 2 GB of data. * VirginMobile offers Beyond Talk plans for $35 and $45. * Ting offers plan with variable spending, where you only pay for what you use. * Republic Wireless offers $20/month unlimited everything plan, however phone selection is limited and you must use wifi when you are at home, which sounds like as fair deal. I do not personally endorse any above-mentioned plans, and always do your research before ordering. If you skip on research, you might get a case of buyers remorse.